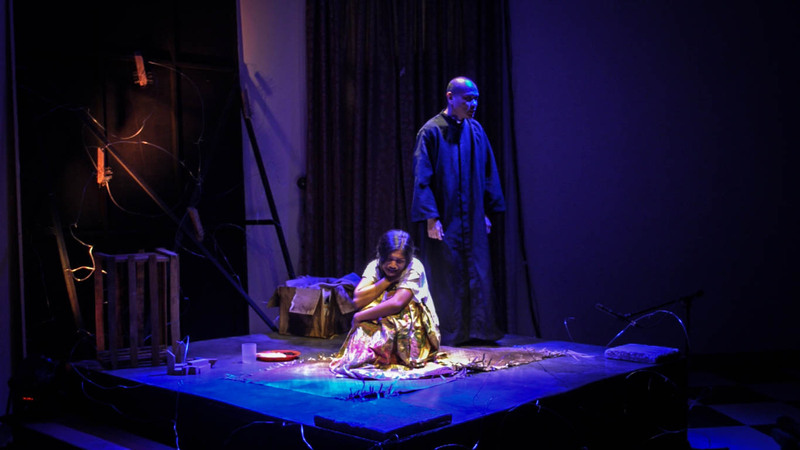 Teatro Lasalliana’s Buwan at Baril production will leave you with goosebumps. Fearless in its depiction of Martial Law, the unconventional setup and intimate performances are a stark reminder that Martial Law left no sector untouched. Doing away with conventional theatre, Teatro’s execution of Buwan at Baril by Cultural Center of the Philippines Vice President Chris Millado took the theatre experience to a whole new level with its arena staging that divided the production into four stations that students were “toured” around. 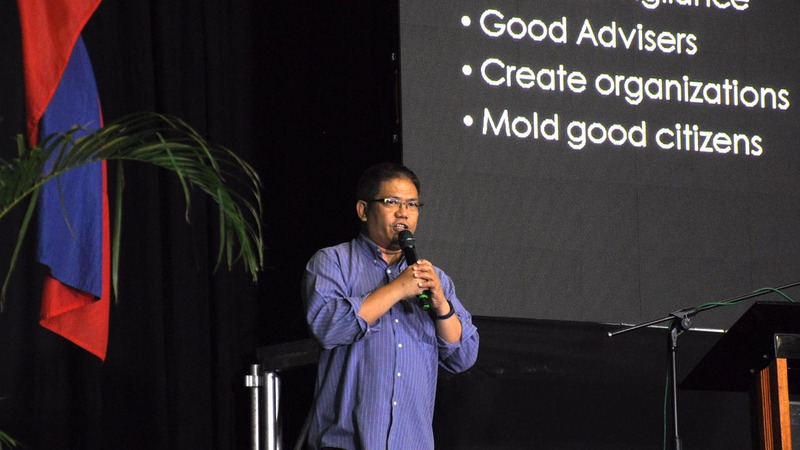 Similar to a museum exhibit setup, only with live performances to replace inanimate objects, the production’s intimacy and interactivity transformed students from mere viewers to participants, engaging the audience to become a part of the stories of Martial Law victims—and essentially, part of the struggle. 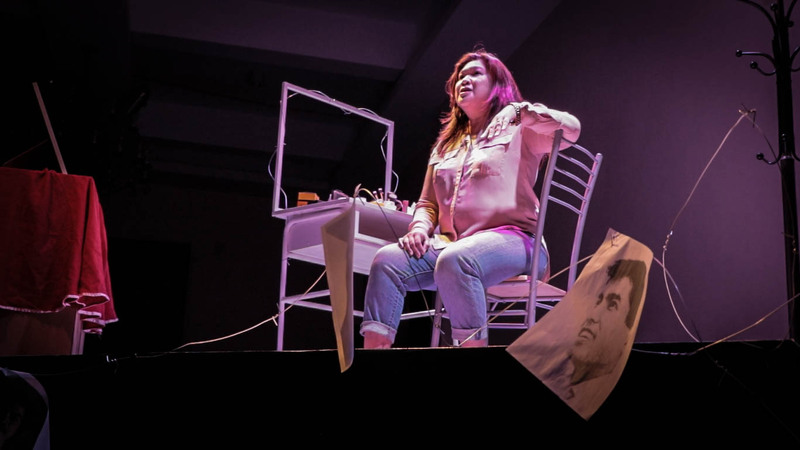 With the direction of Nazer Salcedo and performances by Teatro Lasalliana members, alumni, and freelance actors, the production (that definitely deserved more than a two-day run) was held at Salamanca/Salrial Hall in CIH Building from April 24 to 25. Even the location was steeped in symbolism, representing the opulence of Malacanang against the struggle of the masses in the story. 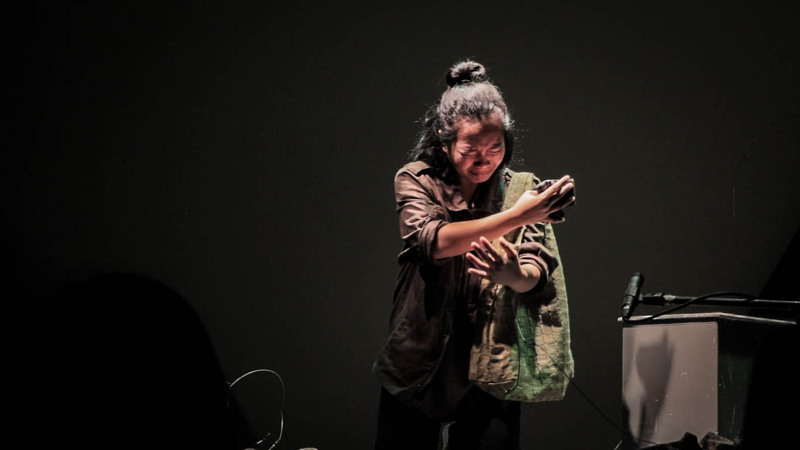 The dialogue-centric performances in proximity to the audience sitting Indian style on the tiled floors created a conversation with the audience rather than a performance. Eyes and ears were drawn to the performances happening before them—the physical closeness to the actors made the raw voices sound even louder and the close-up of emotions playing across their faces even more magnetizing. With songs of protest playing from the speakers between performances and the lighting emphasizing physical and metaphorical shadows and contrast onstage, the environment of Martial Law was set and made even more evident by the story that laments the impact of tyranny to the people, yet it is also a reminder of the impact of one person against tyranny. Rooted in the National Democratic Front mass organization during Martial Law, a progressive movement against a human rights-abusing dictatorship, the plot revolves around a student activist, a farmer’s daughter, a socialist socialite, and a rebel’s wife. In the span of two hours, the production touched on the hunt for activists, police brutality, youth activism, military abuse, killing of farmers, internally displaced persons, gender roles, land reform, privilege, struggle, violent protests, life in hiding, and the very real trauma of the families of Martial Law victims. If any other production tried to include this many issues in to the plot, it would surely fail. But in Buwan at Baril, each situation is flawlessly knotted into the elaborate web of the plot, making for a brilliant storyline that gives justice to the struggle of the masses during Martial Law. Despite its fictitious characters, it’s clear to those who know their history that each character is based on real-life accounts of Martial Law, and the dates mentioned in the production are actual events that occurred during the Marcos Era, from the First Quarter Storm to the violent protests that spanned a decade. Each mention of these historical dates inked in blood added to the turmoil felt by each enraptured viewer. Yet the story would not have been as effective as it was if not for the moving performances of every actor in the production. From the actors in the first performance that flawlessly injected humor with class into a storyline about the struggle of student activists walking around with targets on their backs, to the performers in the second performance that proved that pain transcends any language—special mention to the actresses who spoke their lines in Itawis. The portrayal of the socialite of the third performance empowered even the audience with the humorous monologue on the role of women in society, and the actresses of the fourth performance made tangible her trauma from the all too personal struggle of the loved ones left behind by the victims of human rights abuses. 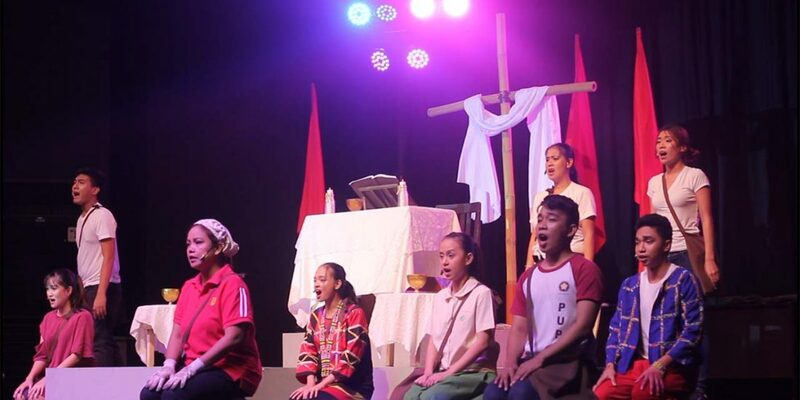 While the production is a two-hour reminder of what happens under the abuse of power, Teatro Lasalliana President Rica Mae Brecio Barinque clarified that the goal of the production is not to be anti-Martial Law, but to encourage students to take a stand. 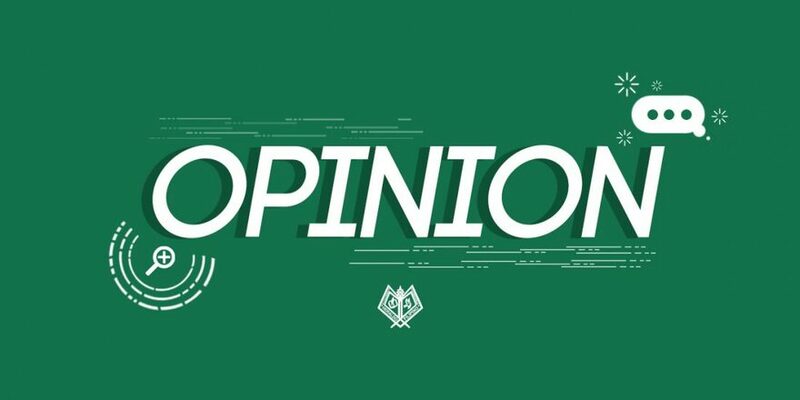 “Pinapakita namin [kung] anong nangyari and it’s for the students to decipher kung ano ba ang stand nila…Sobrang importante ng history kasi do’n natin iba-base ang pamumuhay natin sa ngayon,” Barinque shared on what she hopes students take away from the production. 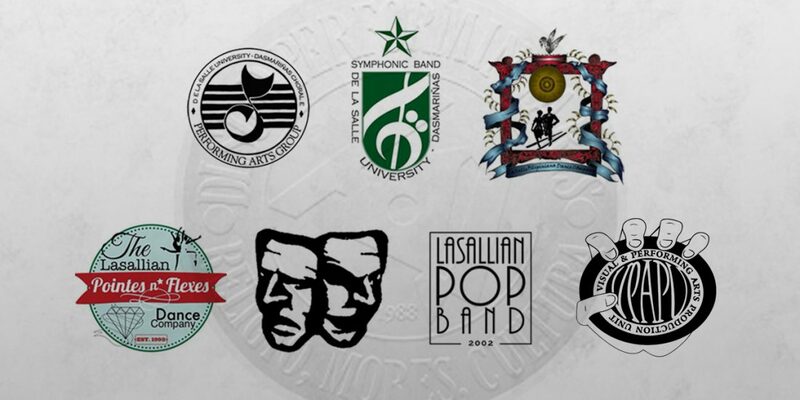 Another year, another brilliant production from DLSU-D resident theatre company. Daring in its theme, innovative in its execution, Buwan at Baril deserves a standing ovation that will make the chandeliers of Salrial Hall collapse. How could we expect any less from our student artists? In the aftermath of the play, one line will echo in your ears. Its sound emerged in the darkness one by one—scarred voices of different entities with a unifying tone.